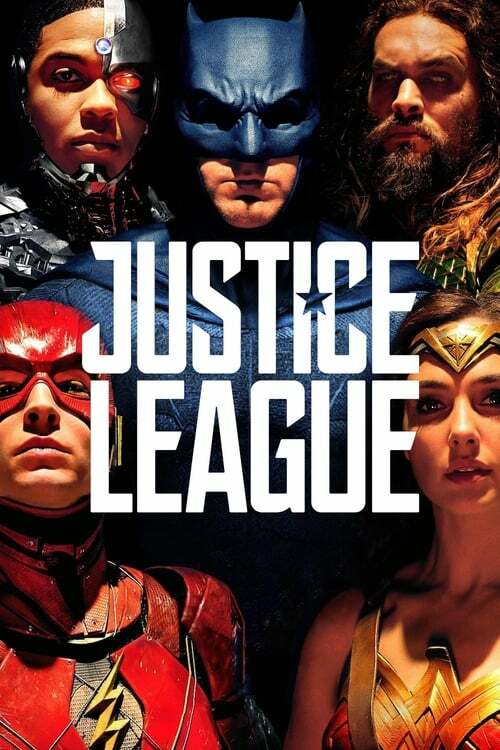 Heroes unite in the best DCEU film to date and absolutely worth the price of admission. This is going to be as spoiler-free of a review as I can muster, but if you didn’t already know that Superman (played by Henry Cavill) died at the end of Batman v Superman: Dawn of Justice, I have to question what you’re doing reading a review of the latest DC Extended Universe (i.e. DCEU) extravaganza, Justice League? Right at the start, we are living a world without Superman. And a world without Superman is a world without hope. Crime is at an all-time high, the morale of the general public is way down, and oh yeah – there’s this huge dude called Steppenwolf trying to unite 3 Motherboxes so he can destroy our planet. Why is everyone always trying to destroy Earth? Are there really no better planets in the cosmos?! Anyway, we learn about who Steppenwolf is via “flashback story time theater” – he’s this bad dude that when he originally came to conquer Earth eons ago, it took all the Amazons AND the Atlanteans AND the Humans AND a couple cameo appearances by other well-known superheros (including a certain ring-bearer and a lightning-wielding demigod) to put him down. Naturally, in modern times Batman (Ben Affleck) wants to stop him with just a handful of heroes including himself, Wonder Woman (Gal Gadot), and a few rookies named Aquaman (Jason Momoa), The Flash (Ezra Miller), and Cyborg (Ray Fisher). Needless to say, this plan doesn’t go as well as expected. So they come up with a really stupid idea: trying to resurrect the Man of Steel to help even the odds. That’s it. That’s all the story I can give you without causing a spoiler riot. It’s go-time on what I thought. Those cameos I mentioned that we saw in flashbacks had me completely geeked. The origin stories of Aquaman, Flash, and Cyborg play out organically over time which worked really well — unlike the origin story bombardment we received in the first hour of last year’s Suicide Squad. We even got a variety of team-ups within the group throughout the film to showcase who does and doesn’t play well together and why. There were a lot of funny moments in Justice League, but they were downplayed to keep the intensity of the film running strong — unlike the recent Thor: Ragnarok where the comedy was front-and-center and distracting from the rest of the story. I believe that DC Comics have finally hit their groove for their live-action films with Justice League. A big problem with 2013’s Man of Steel was that the pacing was dreadfully slow… then Batman v Superman was a bunch of jump cuts that gave you whiplash as it went from one plot to the next. But Justice League really brought it home with a pacing that felt natural and fluid. The performances were strong, the action amazing, the cinematography thrilling., and the CGI worked everywhere except Victor Stone’s face. My single favorite moment of the film was seeing a certain character eye-balling The Flash – which gave me a small joygasm. I would say this is by far the best DCEU live-action film to date. I’d even go so far and risk abuse by saying it was on par with Captain America: The Winter Soldier (please don’t throw things at me)! Justice League is absolutely worth the price of admission. This is a comic book film to remember, and will almost make you forget the awfulness of Doomsday. Almost. I said “almost”! Oh, and make sure you stick around through the credits for not one but TWO bonus scenes.